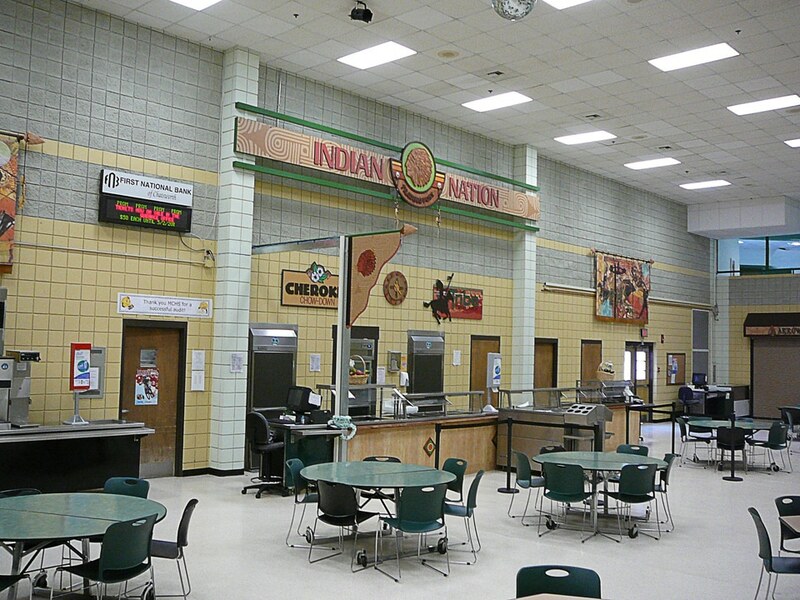 Warm earth tones, soft textures, weathered copper, and splashes of harvest green set the mood at the Indian Nation Trading Post. 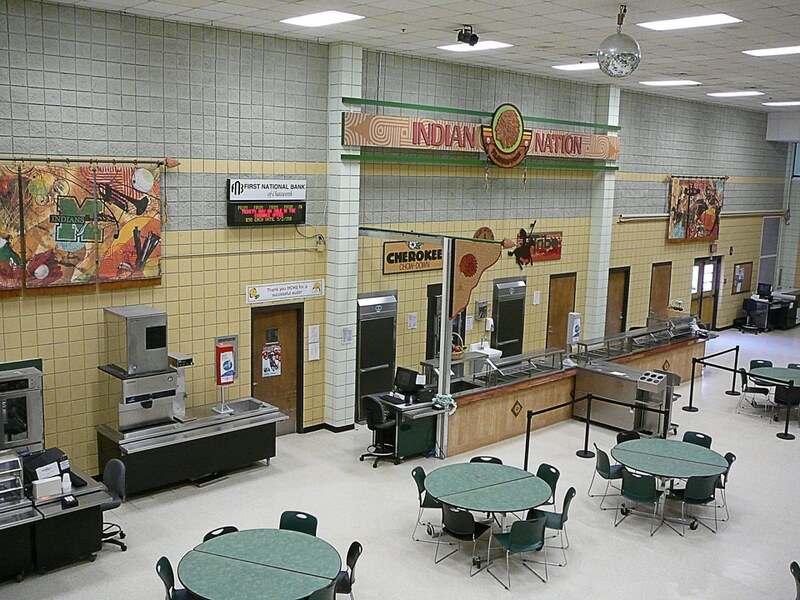 Overlooking the north Georgia mountains at Murray County High School rich tradition fills the cafeteria. 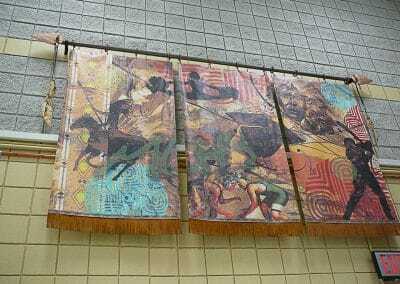 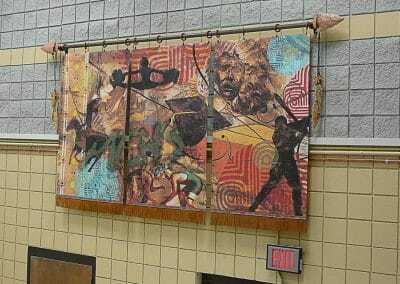 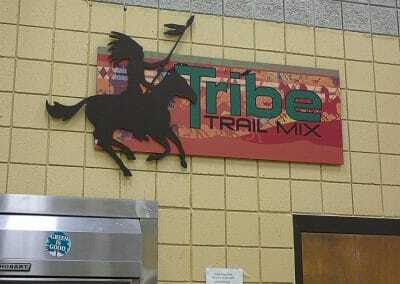 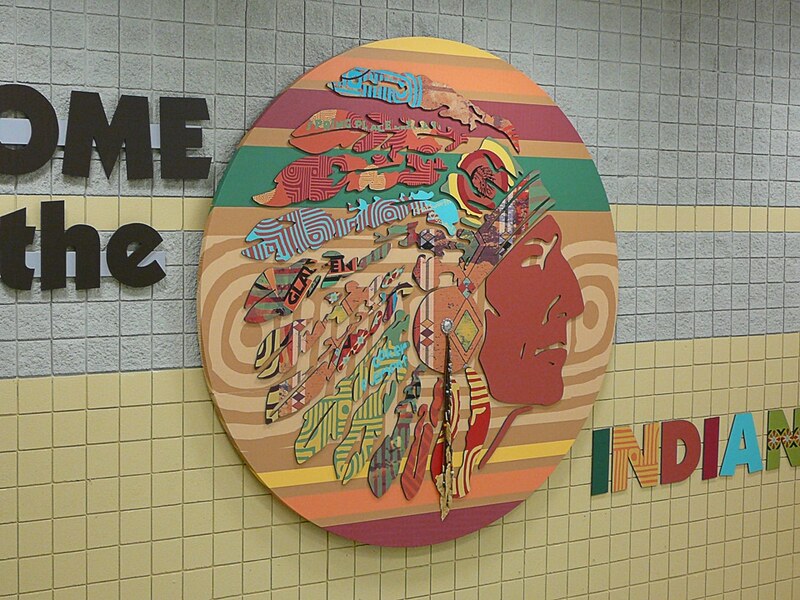 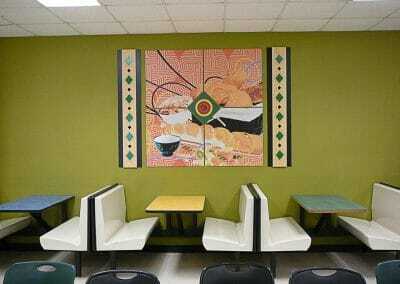 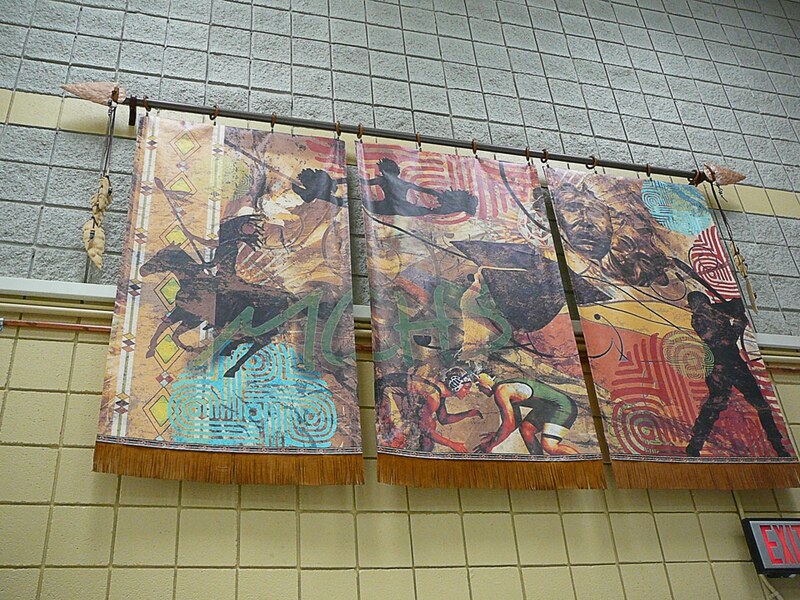 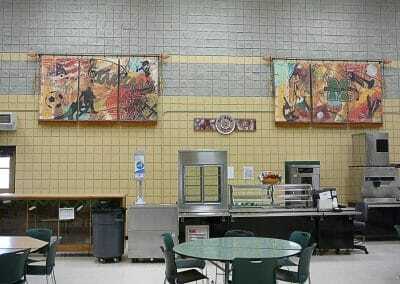 Cherokee images create a harmonious rhythm spreading through images of nutrition, academics and the Indian school spirit. 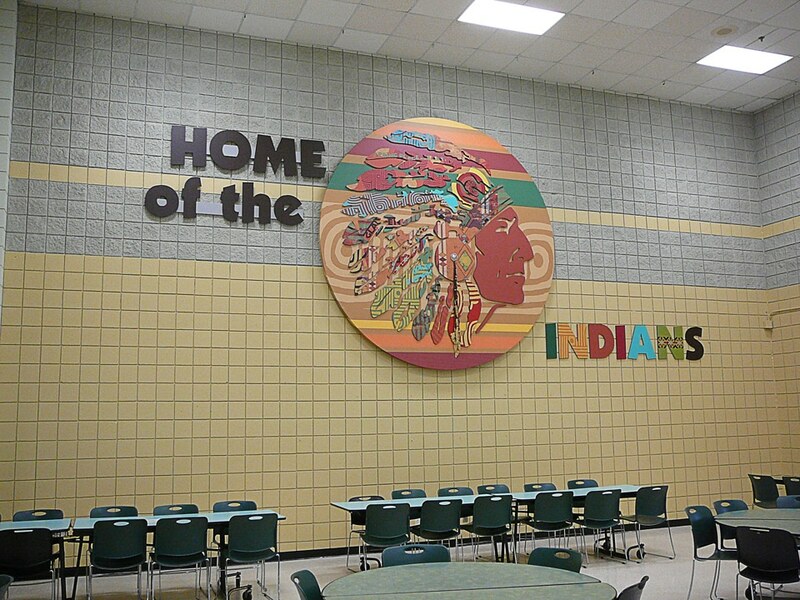 Subtle surprises of Native American culture are depicted throughout the designs for example; corn, beans and squash, The Three Sisters, were the Indians principal crops. 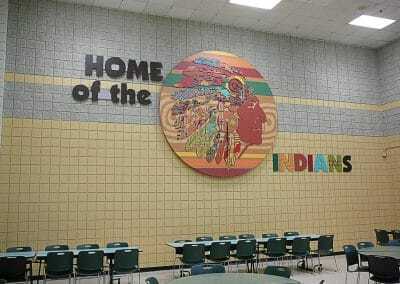 And as an old Cherokee legend teaches the strawberry is a reminder to not argue with one another and to ask for forgiveness. 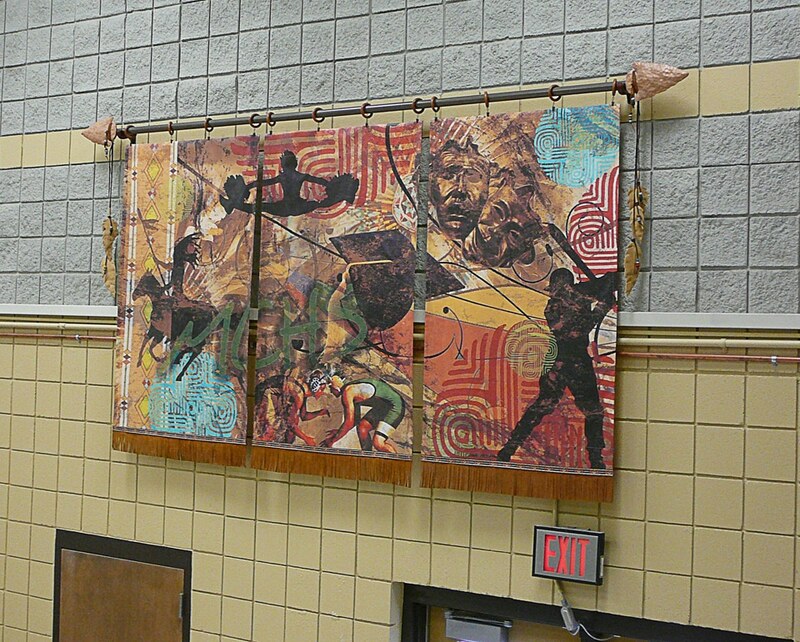 The collection of inspirational tapestries suspend from arrowhead spears and leather accents, wooden feathers and beads add an authentic feel. 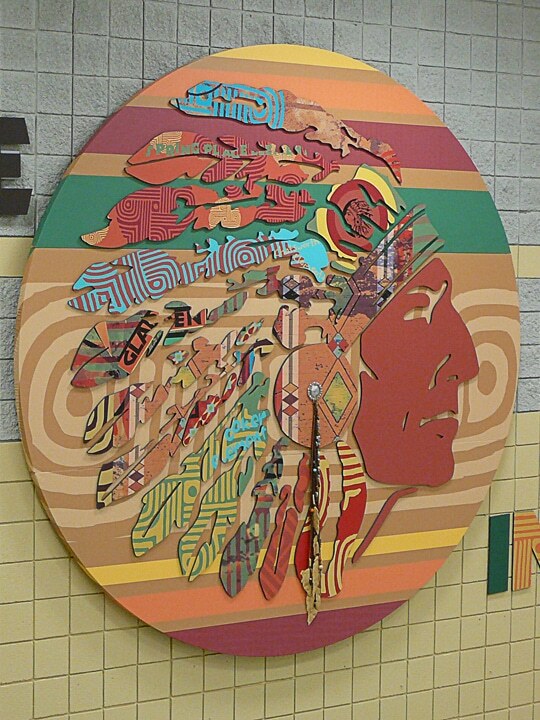 But the most captivating symbol is the 10 foot layered Indian logo that encompasses the entire far back wall as you ascend the stairs. 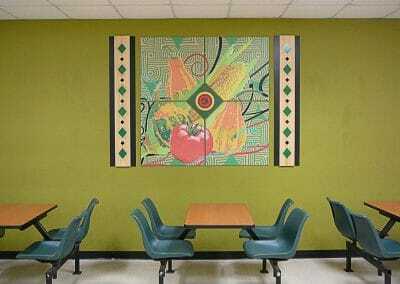 This masterpiece of canvas and the Indian collage serves as a tribute to the students’ journey through the system. 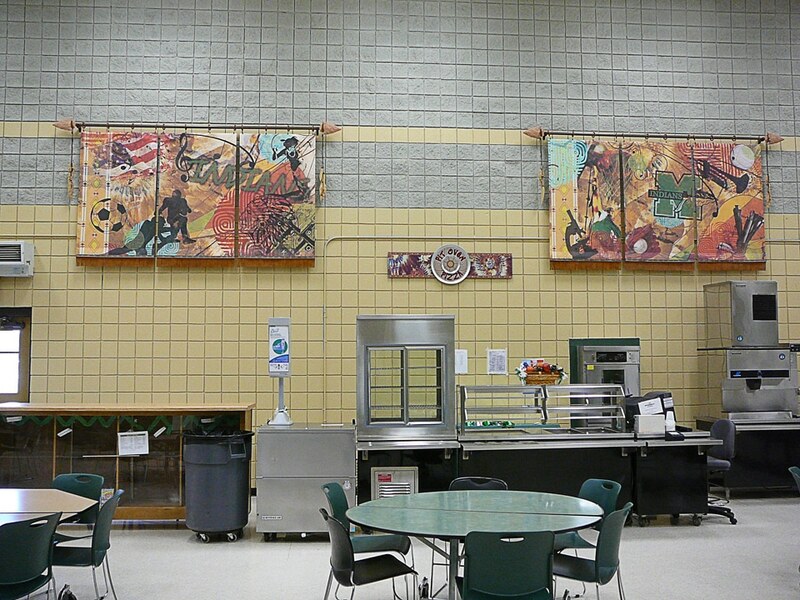 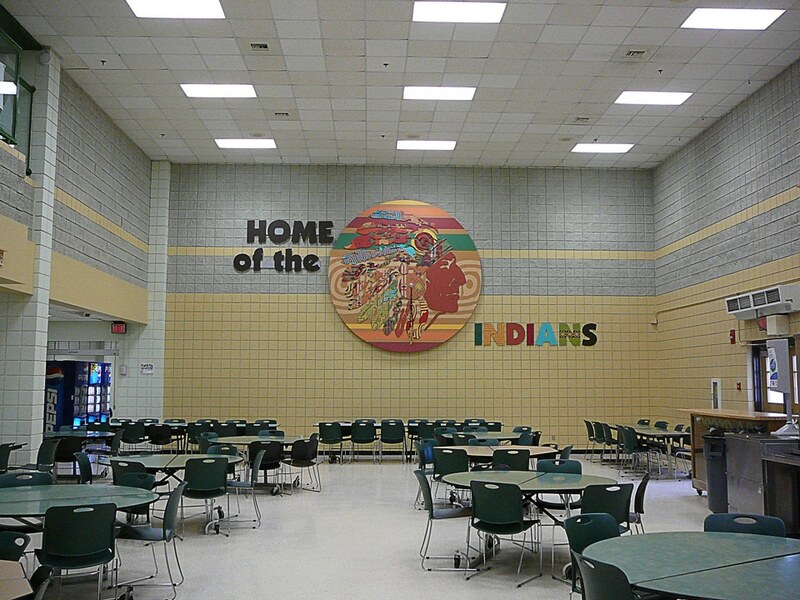 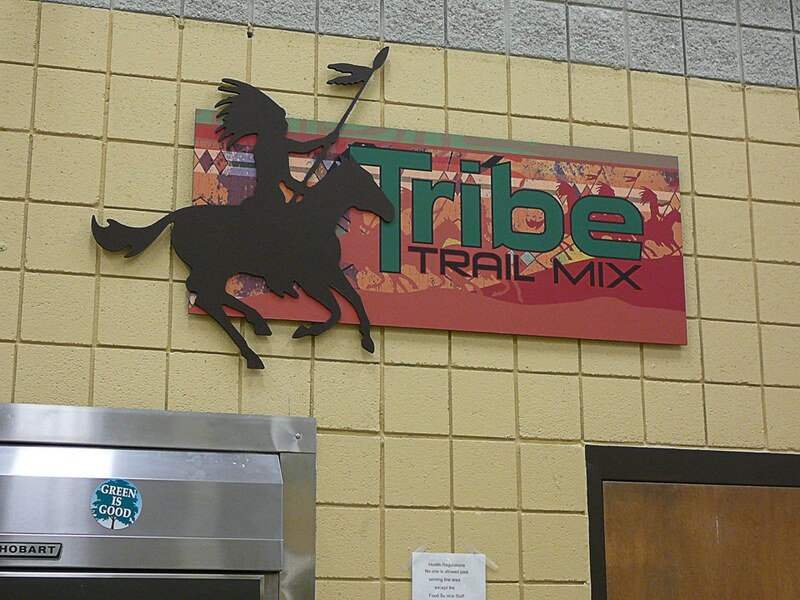 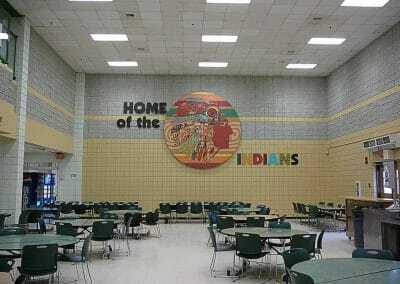 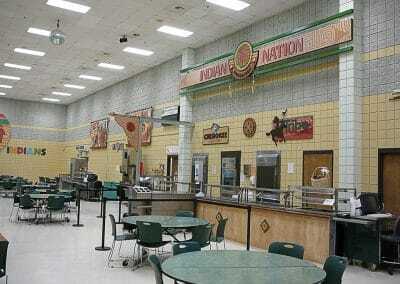 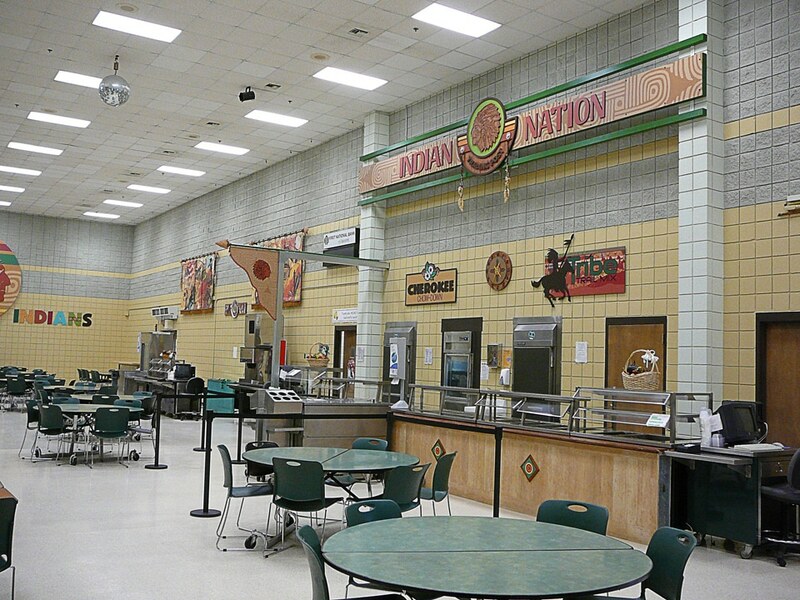 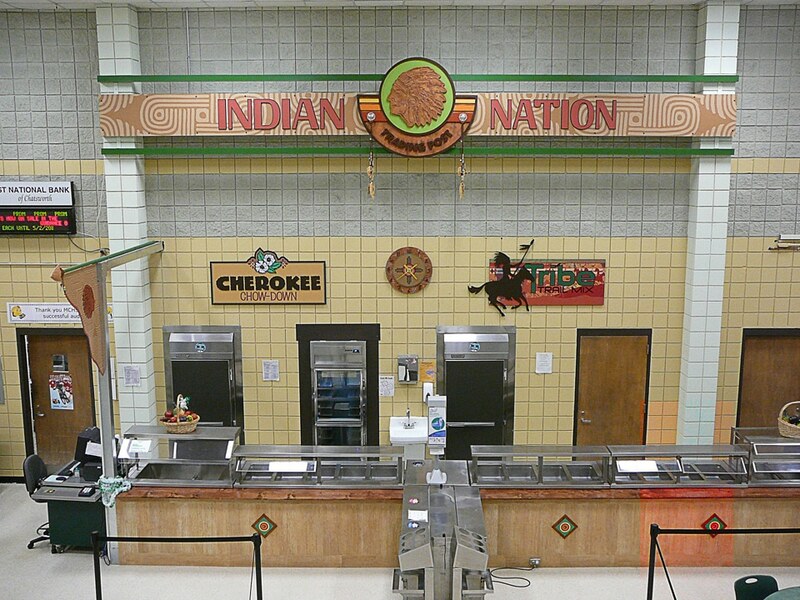 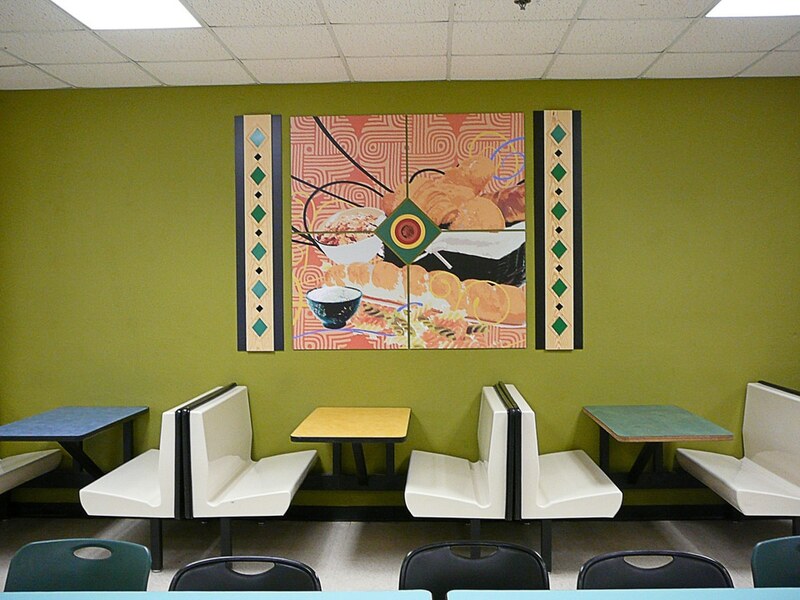 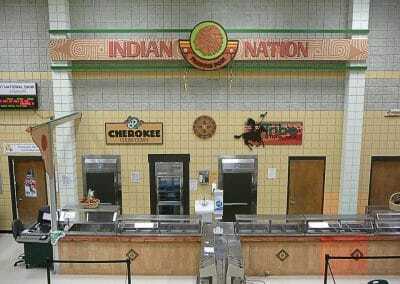 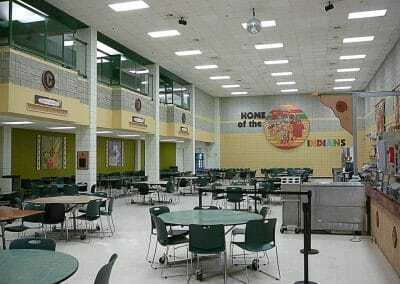 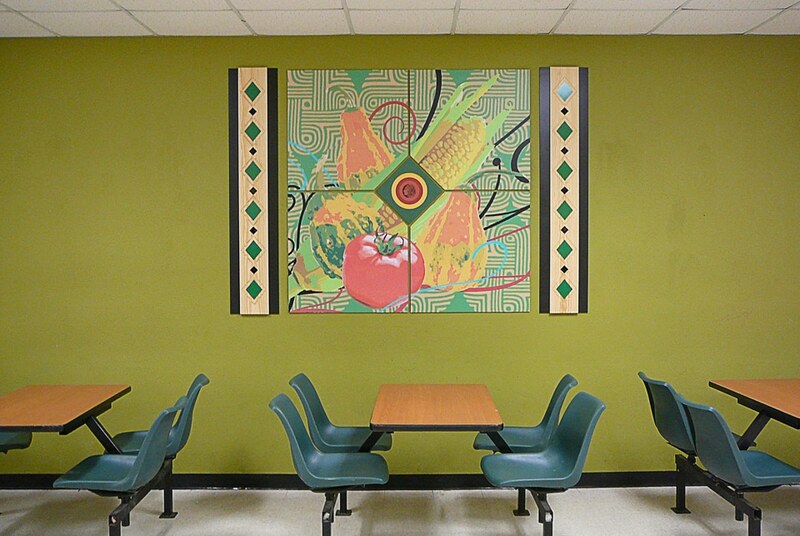 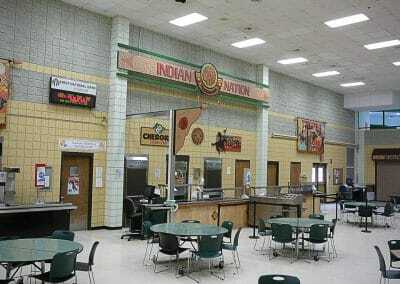 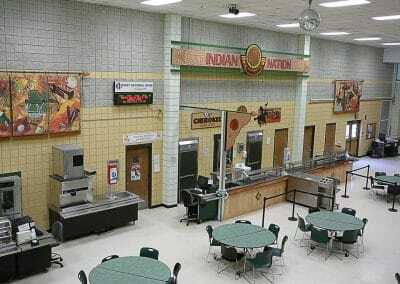 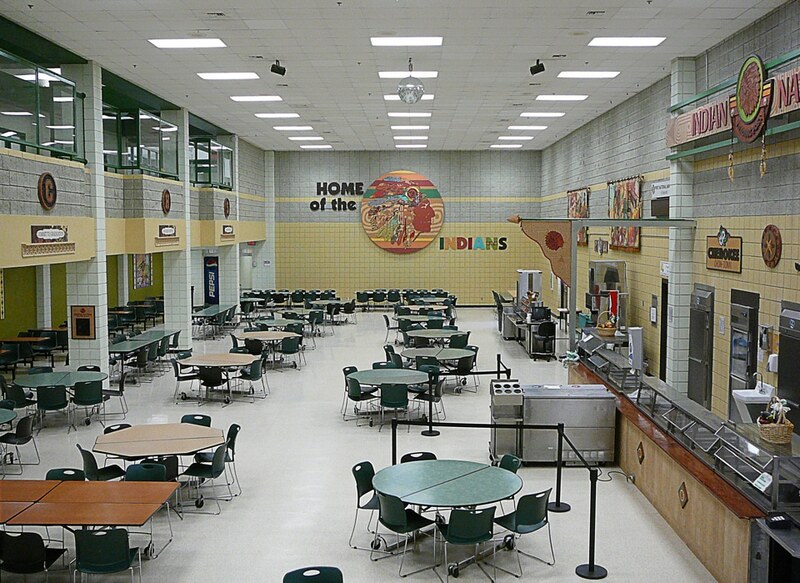 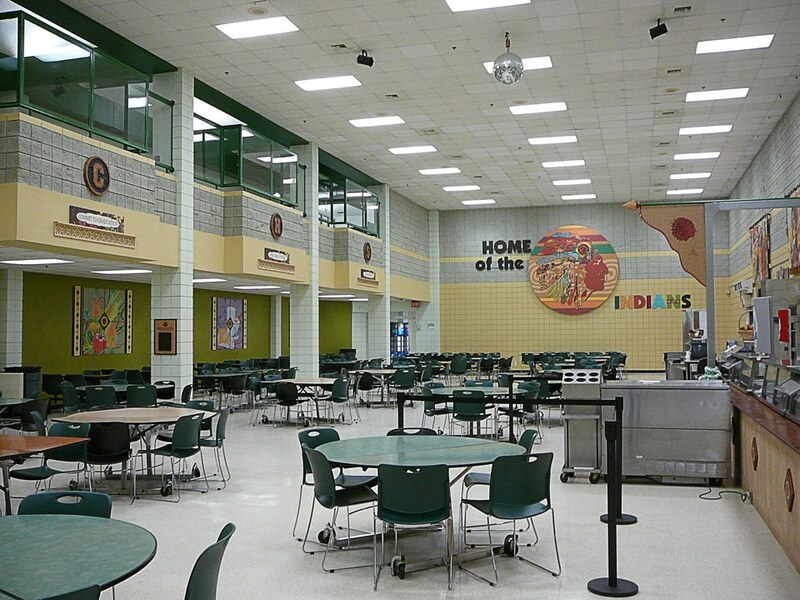 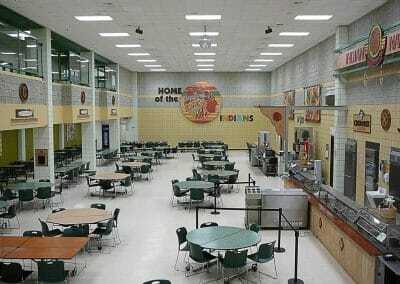 All in all, the Indian Nation Trading Post at the MCHS cafeteria celebrates the nutritional wisdom from the past and charges forward towards promoting nutritional education for a healthy Indian nation.